North Carolina is home to more than a dozen military bases and installations that military families from all branches call home. If asked, the majority of the families are likely to say that one of the best parts of living in the Carolinas is the abundance of pleasant weather and the opportunity to take full advantage of the seasonal amenities--especially during the warmer months. 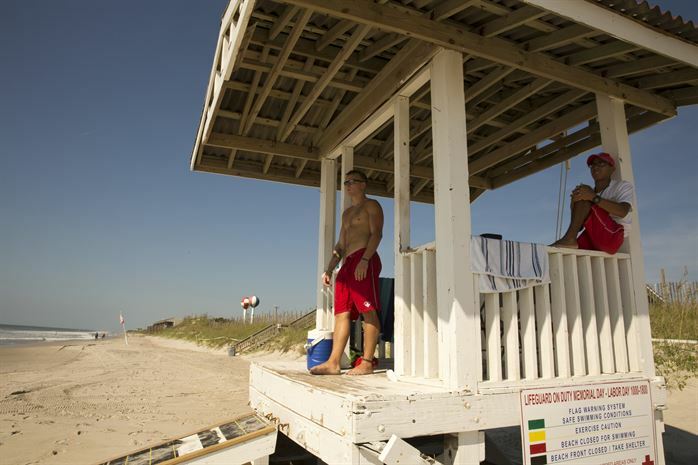 Camp Lejeune boasts a perfect location, ideally set on the coast, with its own beach access, yet Camp Lejeune and Jacksonville families don’t have far to drive to enjoy nearby outdoor fun. Beaches, parks, and entertainment attractions are within a couple hours’ drive. Spring is around the corner, and there's plenty of vacation (or PCS planning) planning to be done! Here are a few suggestions for enjoying the warm sunshine on or near Camp Lejeune to shake off winter’s cabin fever. 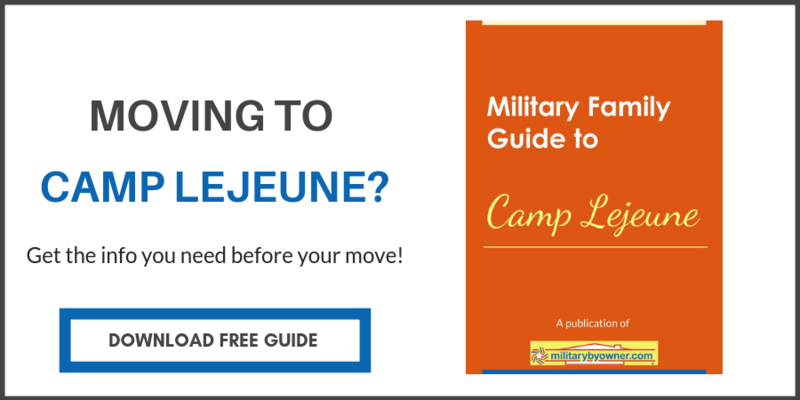 First things first, get your PCS started right with the Military Family Guide to Camp Lejeune! A day a the beach is a no-brainer, especially since there are so many beautiful choices! Let’s start with easy access. Located on Camp Lejeune, Onslow offers plenty of convenience and affordability. Not only is a day of pure beach play available, military ID card holders have the opportunity to rent lodges and RV sites. But, as you can imagine, these accommodations are in demand, so get your reservations in early. Pet-friendly rooms are available, as is the Marine Mart, which offer the basics needed for a fun-filled day playing in the sand. Check out The Best Beaches Near Military Towns within a day’s drive to popular beaches in neighboring South Carolina and other military base locations across the country. Calm and relaxing are this island’s vibes. Get away from the hustle and bustle of military life on a beach in one of the island’s three towns: North Topsail Beach, Surf City, and Topsail Beach. Keep watch on local business you’d like to try, because many only operate during the high season between Memorial and Labor Day. The poetic name gives away the personality of the isle--all 23 miles of it. Not only is the ocean a green like you’ve never seen, but the island itself is a lush setting with adequate amenities, but leans toward a nature at its best. All within easy driving distance of one another, Atlantic Beach, Beaufort, Emerald Isle, Harker’s Island, Indian Beach, Morehead City, Pine Knoll Shores, Salter Path, and Swansboro bring millions of tourists each year to enjoy the many “best of” lists that the Crystal Coast ranks on top. From the best beaches to the best eateries, there's something for each guest to enjoy amongst the beautiful shore towns. Large or small, there’s no shortage of options to enjoy the day at a park with a picnic or barbecue. Although summer days might be a bit too hot to be in the full sun, fall, spring, and long lasting evenings are ideal times to try a pick up game of catch in the park. The North Carolina State Parks website is a useful first stop for information near Jacksonville and Camp Lejeune. Not only are the most popular sites described, but charming and likely less crowded tucked away island parks are listed. Spend the day exploring off the beaten path adventures. 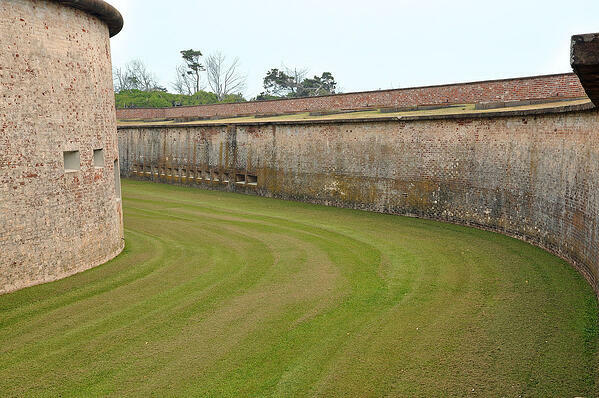 Last in use by the U.S. Military during WWII, Macon State Park has a long history guarding American soil. The park is unique in that history lovers share the property with outdoor enthusiasts. Swimming, fishing, and hiking are all activities visitors come to enjoy. An absolute must do for animal lovers! 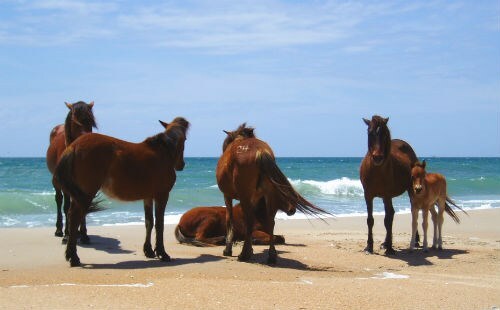 More than 100 horses live their best horse life on the beach and in the dunes. Wild horses are the only year-round residents, but they draw quite the crowd on pretty days. Visitors boat or ferry in to catch a glimpse of storied ponies which are said to be descendants of European horse ancestors who survived a shipwreck of the coast. 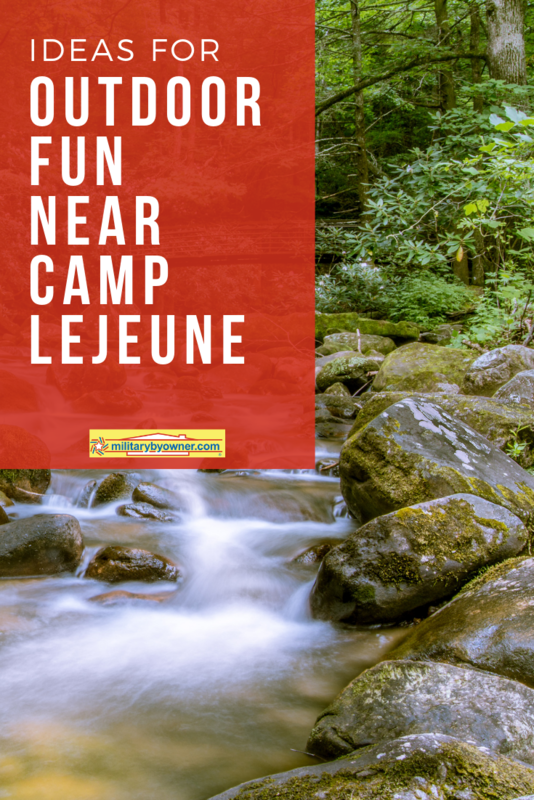 Berry picking, paddle boarding, and even a raceway park are close to Camp Lejeune. Figuring out how to make time for all of the fun is going to take detailed planning! Get your recycled grocery bags ready, as opening day is April 13! 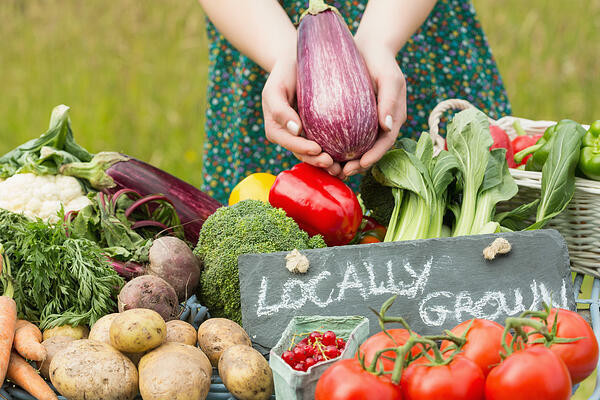 Shoppers enjoy a collection of locally grown produce, meat, eggs, cheese, handmade crafts, artisan displays, and plenty of baked goods to snack on while strolling through all of the fresh from the farm options. Bike riders who want to learn the lay of the land near Jacksonville can see it all during a 21-mile bike ride named Jacksonville to the Sea. Pack enough provisions for the journey and park your bike at the ferry to enjoy a beach day at Hammocks Beach State Park. Take note of the ferry return times to bike back home before dark! If summer isn’t perfect until a traditional outdoor festival is attended, mark your calendars to be at the Onslow County Parks and Recreation on July 4. The Freedom Festival promises a fun day of activities that include live music, shopping, food booths, children’s events, and of course, the much anticipated fireworks show at 9 p.m. Be warned--any party that advertises the use of a public misting tent expects soaring temps and humidity to be on the guest list! North Carolina in general is known for providing ample options for outdoor adventures. 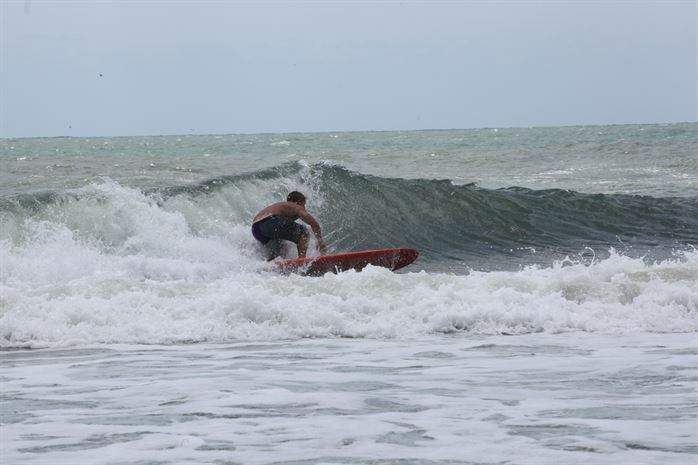 But these activities close to home at Camp Lejeune are good way to welcome back the warmer temperatures and show off the accommodations to out of town guests. Choose a couple as high priority and then fit in the others as time permits.